I am a huge fan of making Christmas brunch for my family. A fun spread that I can place out, to munch on, while we play with our presents and enjoy each other’s company. 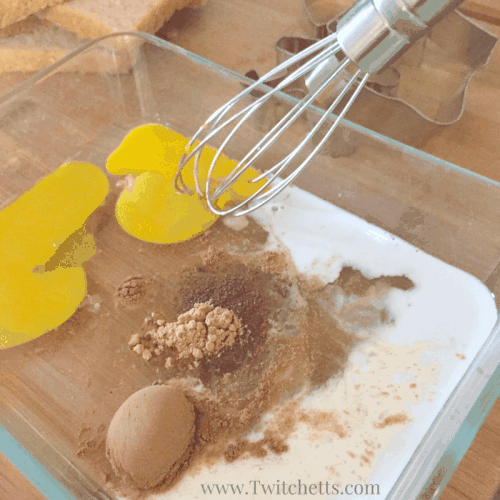 I love this fun french toast platter because it’s a way to make your food special for the morning and is an easy recipe to pull off! 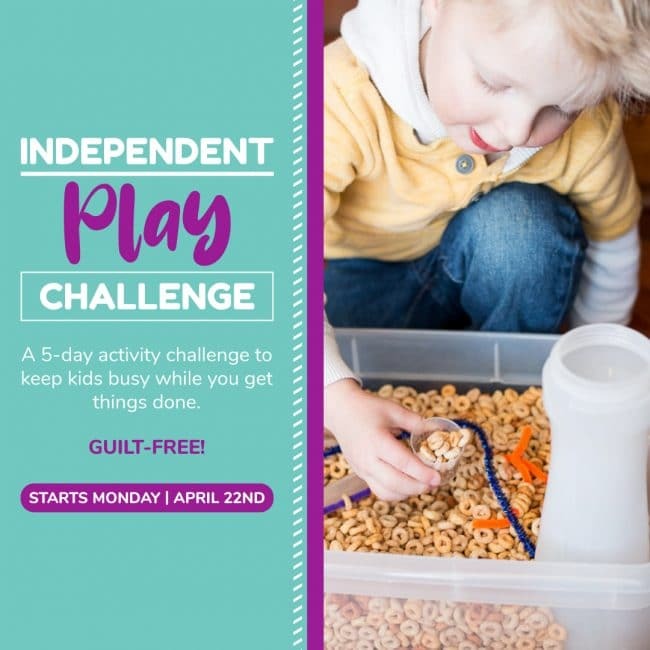 This is a perfect recipe for kids to help make too! 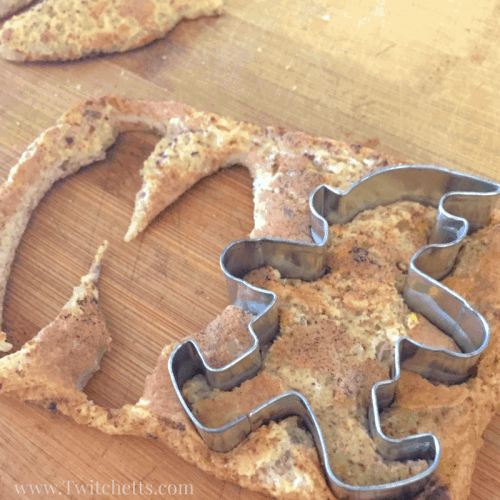 I have been making this fun french toast platter for years! I pair it up with some slices of bacon, fruit, and tasty mini frittatas. Everything is finger food. Perfect for a few quick bites between playing. Perfect for Christmas morning. I like to pair up our french toast with tasty toppings. 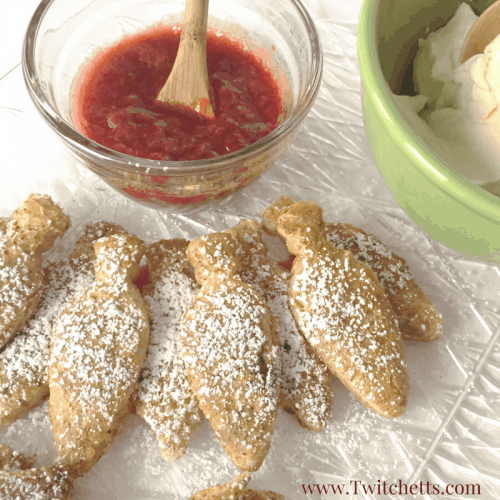 A light dusting of powdered sugar, homemade whipped cream, and a simple strawberry sauce! First get your strawberry sauce started. 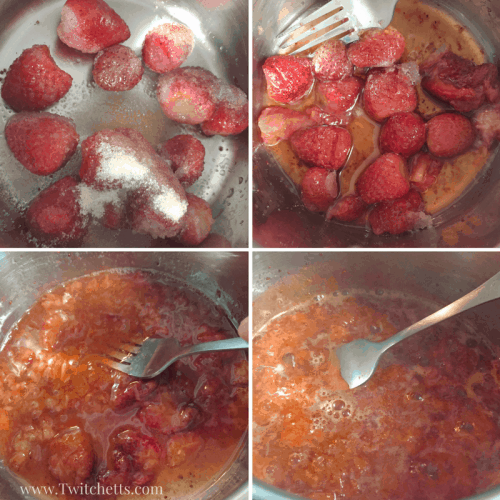 In a small sauce pan add your strawberries and sugar. Place on low heat and let the strawberries warm through. Soon you will be able to smash them with a fork. Continue to allow them to cook over low heat and soften while you start your french toast. Once you have been able to smash the strawberries completely, you can bring it to a simmer until it reduces to a nice sauce consistency. While your strawberries are reducing whisk together your french toast mix. Dunk bread and let the extra drip off. Throw it on a hot griddle and cook both sides. Move to a cooling rack for a couple of minutes until you can handle it easily. Next, use your cookie cutters to make your fun french toast shapes. I went with bulbs, stockings, and elves this year. Snowflakes are cute, but leave a lot of waste… so choose what works best for you! With a little planning, you won’t have too much waste. 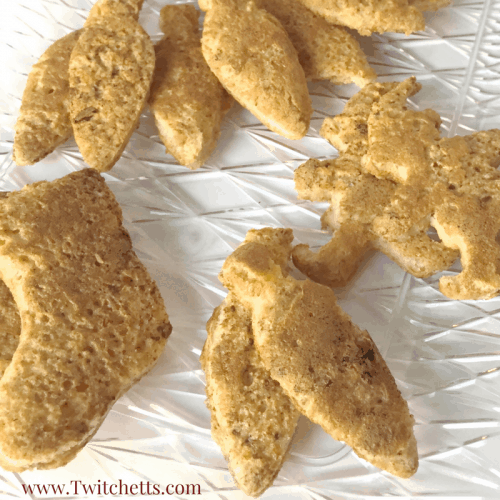 Mostly crust, a snack for you while you cook or a Christmas snack for man’s best friend! Pull out a platter and place down all of your fun french toast shapes. 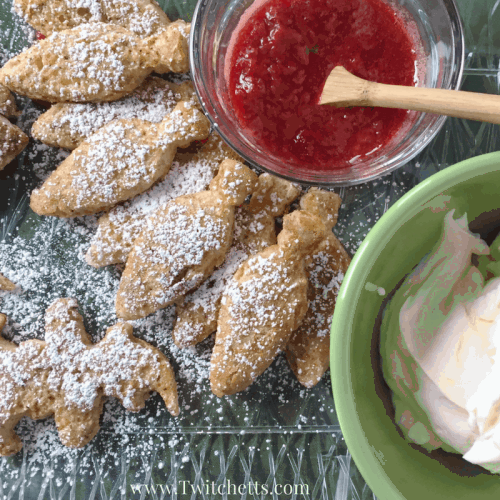 Dust with a light coating of powdered sugar and add a side of strawberry sauce and whipped cream! 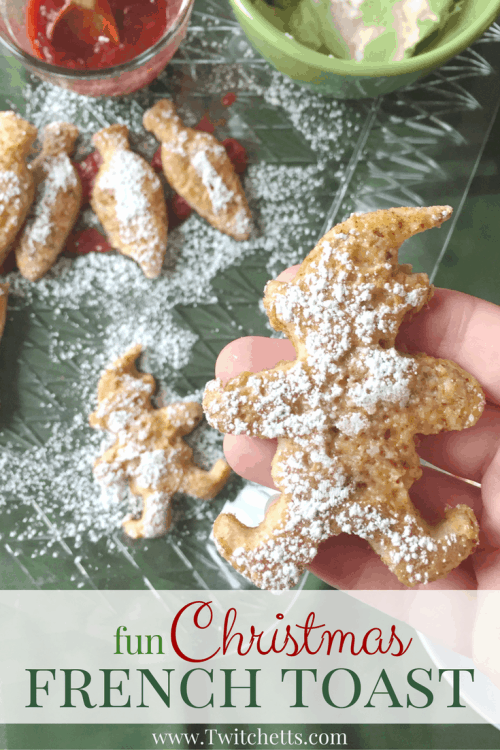 You can really make these for any occasion, because we all have some cute cookie cutters lying around that need a second use… plus how cute are these! 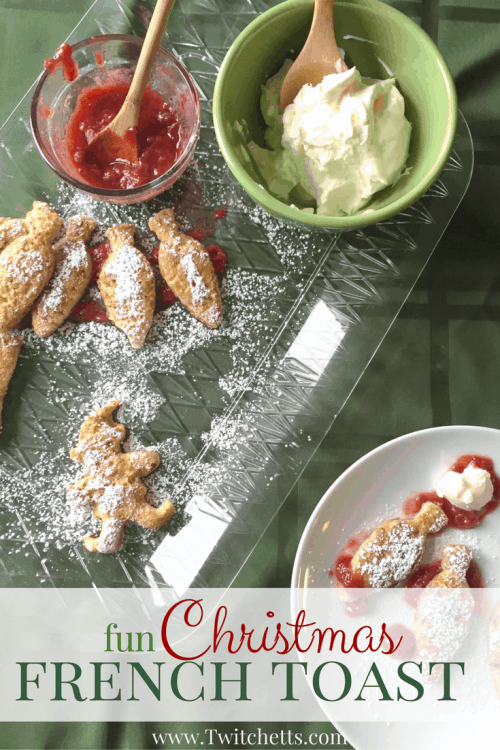 The perfect finger food for Christmas brunch! Make sure to Pin It to your Holiday Board! Click here to check out more Christmas Fun! This Christmas morning breakfast sound like a perfect holiday tradition!